The Spanish extradition request was substandard both formally and essentially, said defence lawyer. 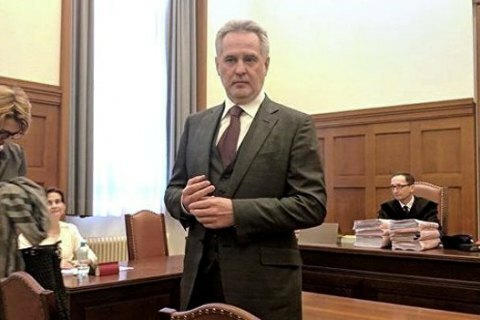 The Vienna Court of Appeal on 19 December issued the final decision on the refusal to extradite Ukrainian businessman Dmytro Firtash to Spain. The court rejected the appeal of the prosecutor's office and confirmed the decision of a first instance court to refuse Spain's extradition request to due to the absence of crime, place and time in the request papers. The decision is final and cannot be appealed, the court said. Firtash's defence lawyer Dieter Bomdorfer told LB.ua on Tuesday: "The court ruled to deny the Spanish request for extradition, because it does not meet the requirements for such documents, both formally and essentially." On 14 December, the Austrian Supreme Court suspended the decision to extradite Firtash to the US and sent a request for the legality of the decision on his extradition to the European Court of Justice in Luxembourg (also known as the European Court or the EU Court). Firtash will remain in Austria at least pending the decision of Court of Justice of the European Union, a supranational justice body that oversees the uniform application and interpretation of European Union law.